Brechin is usually only glimpsed in the distance by travellers on the main A90 from Dundee to Aberdeen, which bypassed the town in 1976. And many will know little more about the town than that it has a football club, Brechin City, whose name used to appear in Grandstand's classified results list every Saturday afternoon. It is probably most usually reached by visitors turning off the A90, though it also has good road links east to Montrose and south to Arbroath. The very slight effort it takes to get here is amply rewarded on arrival in a very attractive town that has a great deal of character. Brechin is a town with a considerable history: even its football club has been around since 1906. 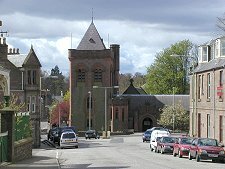 The city status suggested by the name of its football club probably owes much to its pre-Reformation importance as an ecclesiastical centre and the presence here of Brechin Cathedral. In the modern era this is reflected not just in the name of its football club. A number of civic bodies have names beginning with the words "City of Brechin..." and these titles should be taken as aspirational rather than literal. You can read more about city status in Scotland here. It seems likely that Christianity arrived in Brechin with St Dubhoc or Duthoc some time around 600AD. By the late 800s a religious order known as the Céli Dé (or Culdees) had set up a church in Brechin, possibly on the site of an earlier Pictish establishment. This first enters recorded history in 972 when King Kenneth II endowed lands and property to the religious community here. Brechin Cathedral's highly unusual round tower was built in about 1100, but the rest of the building only took on recognisable form in the first half of the 1200s. Brechin Castle was built in a strong defensive position on the north bank of the River South Esk, not far from the cathedral, in the 1200s. It is the traditional seat of the Earls of Dalhousie and was converted into a fine mansion between 1696 and 1709. Brechin has seen both boom and bust, several times over, during the intervening centuries. It was doing especially well in the period to about 1350. But then it was hit by a double disaster. First the black death struck. 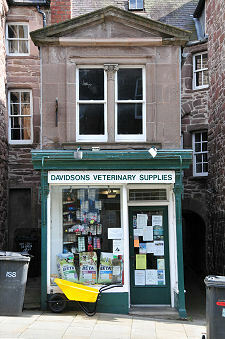 Then, allegedly through misunderstanding, the town erected a mercat cross, a privilege reserved to Royal Burghs. This was such a serious misdemeanor that its rights to hold a market, which up until that point had been legitimate, were withdrawn. The 1400s saw the return of the market and considerable wealth that lasted through the following century. But around 1648 bubonic plague struck again, killing two thirds of the population. It was the nineteenth century that saw the real growth of Brechin, based largely on textiles. By 1870 there were four major mills in the town, three with power looms. Between them they employed around 1400 people. 1895 saw the arrival of the Caledonian Railway at a station on the east side of the town, and in the meantime brewing and distilling assumed considerable importance in the local economy. The brewing has since all gone, and the last distillery in the town is Glencadam: though sadly this does not have a visitor centre. The Caledonian Railway remains as a heritage railway linking Brechin with Bridge of Dun, four miles to the east. At the heart of Brechin is the Cathedral itself. The warren of old streets to the north and east form a highly attractive "Old Town" and is well worth exploring. 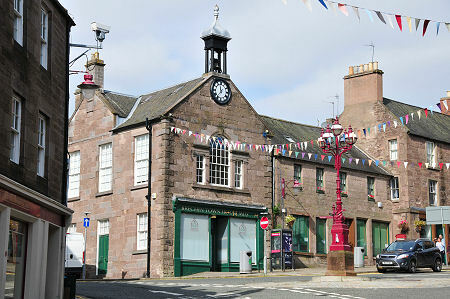 The Town House is home to a museum reflecting the history and culture of Brechin. 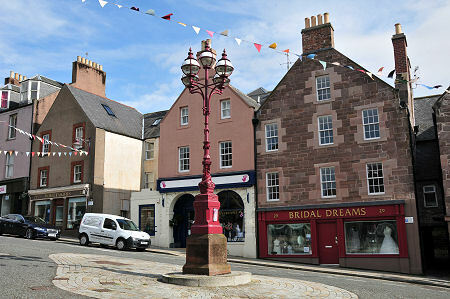 If the old town is one centre of attraction in Brechin, the other is around St Ninian's Square, a little to the east. 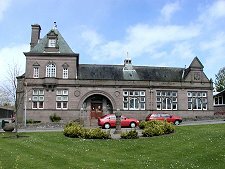 Here you can find some of the town's more attractive Victorian architecture, including the library and, down the hill, a view of the remaining mill buildings. 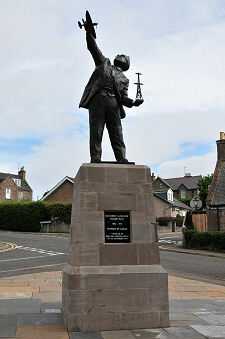 Brechin's most famous son was Sir Robert Watson-Watt, the inventor of effective radar in the years before World War Two. In 2014 a fine statue of him was unveiled in St Ninian's Square.